An interview with the last knife maker in Sheffield, where many Bowie knives came from. 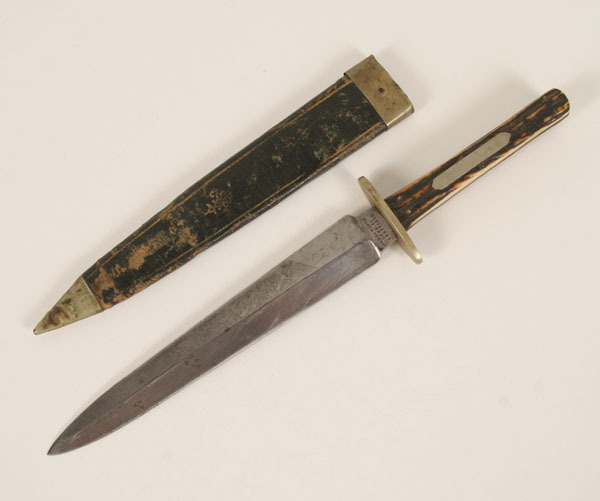 Few people are aware that if the Bowie knife was developed and made famous in the United States, it was produced in many places outside of the country. 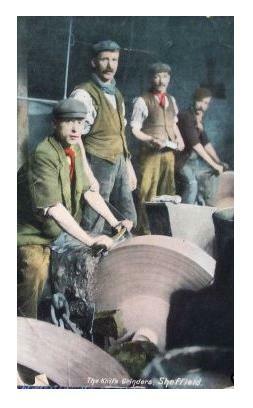 One of the most important places of production was Sheffield, England. The production of their famous knives was first hinted by Chaucer’s Canterbury tales in the 14th century as he referred to a “Sheffield Thwitle”. Until the 17th century the town mostly on producing low quality knives, but in the 18th century the discovery of a variant of the crucible steel and a process of silver plating that came to be called “Sheffield plate” gave the cutlers of this town a new reputation on par with Solingen or Toledo. Sheffield was a place of innovation it seems and this is where Stainless Steel was discovered in 1913 by Harry Brierley. During World War Two the city was put to work and of course produced some of the famous Fairbairn Sykes daggers for commandos. The following decades were not very good for the steel industries of Sheffield and many mills closed down. A Sheffield Bowie made by James Westa. In memory of the blade forgers of Sheffield, here is a small interview made in 1978 of Albert Craven who was a knife maker for 72 years and it seems one if not the last completely traditional knife maker in the region.